Review: Coal. Gary Clarke Company. Nottingham Playhouse. – East Midlands Theatre. The four ‘pit ladies’ from the Nottingham Community cast, Suzanne Barlow, Lisa Chamberlain, Wendy Gerrard-Tarpey and Claire Hail in Gary Clarke’s contemporary dance work Coal will no doubt come away from their experience with memories to last a lifetime. As will the local members of the Hatfield Band – Claire Taylor (cornet), Andrew Bevan (Cornet), Emma Davis (Tenor Horn) Simon Willis (Euphonium) and Robert Brown (Eb Bass). By including these people from ex mining communities Clarke and his seven professional dancers have given the piece a superlative depth of emotion and reality based on real mining community life. 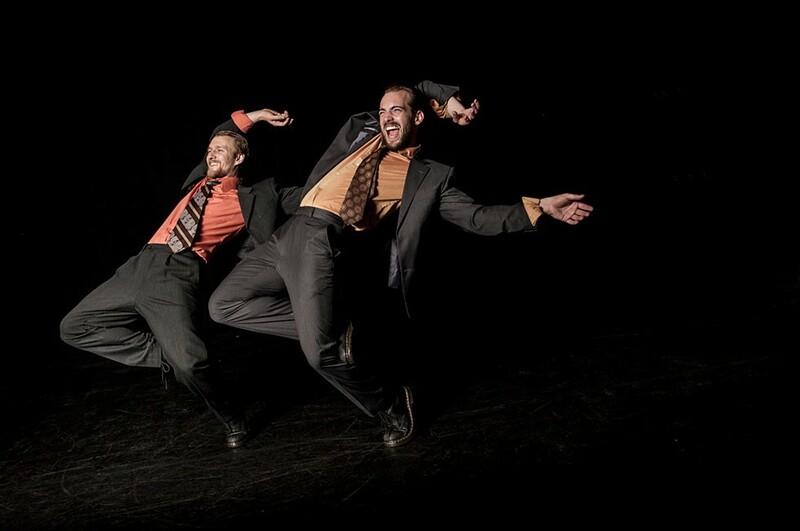 Coal is contemporary dance that moves grown men to tears. It is raw, it is funny, it is full of life and showing the hard grafting miners through dance, it is emotional dynamite. 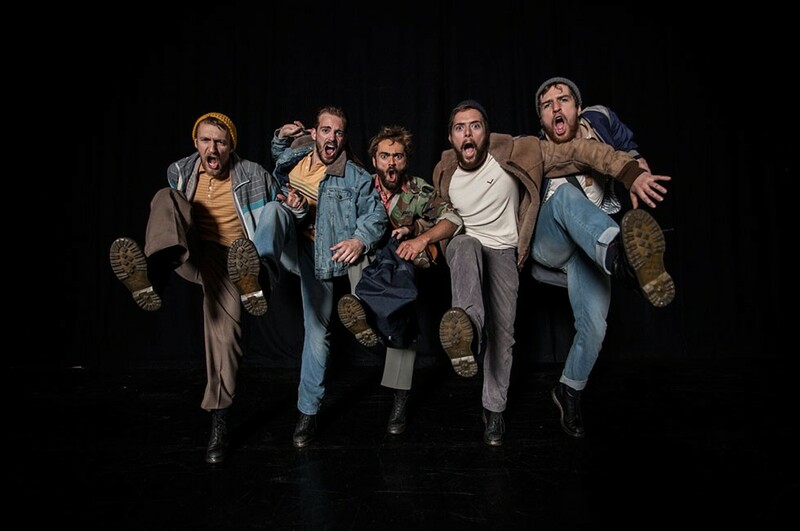 Looking at a day in a coal miner’s life Clarke uses his dancers/miners Alistair Goldsmith, Nicholas Vendange, Beno Novak, Joss Carter, Parsifal James (PJ) Hurst and miner’s wife TC Howard to great dramatic effect. 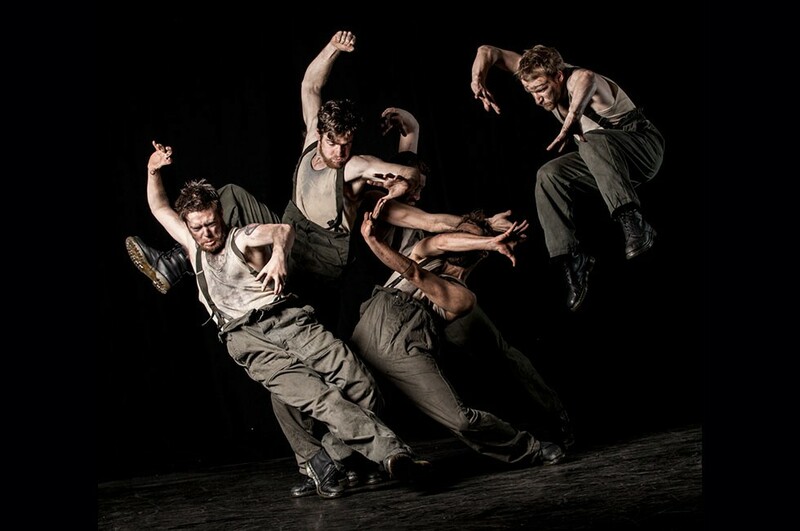 In the coal mining scenes the audience get to understand and are uncomfortably at one with the hard labour of the miners depicted through the dancers’ energetic body movements, often shown to be in cramped and dangerous circumstances. The repetitious dance is exhilarating yet exhausting to watch. As an audience member one almost longs for their chance to stop working and grab some snap. The thrilling underground soundscape is created and arranged by Daniel Thomas with original sounds taken from the National Coal Mining Museum for England at Caphouse Colliery. When Thatcher (Eleanor Perry in a chilling and superbly danced role) haunts the stage there is a distinct chill in the air complete with audience hisses and boos, appreciably more than we get from any regular Panto or stage villain. With the latter the audience generally concede to the fact that it is an actor playing the role and there is a feeling of amusement at their stage villainy. In this show, the sharp stylised dance movements with the familiar faux sympathetic tilt of the head and Steve Nallon’s Thatcher voice over we get a real monster. Even at the rapturous curtain call there is uncertainty whether to applaud the dance image of Margaret Thatcher. Coal uses a mix of live music from the brass band, classical music, folk song, 1980s pop song, and original music all to extra-ordinary effect. The set is mostly a bare stage with simple props and metal and plastic buckets add practical and percussive notes to enhance the drama of the piece. Charles Webber’s lighting design is superbly atmospheric. Overall Gary Clarke’s award winning Coal is a multimedia dramatic dance production with tremendous clout and a true legacy to the spirit of Britain’s former mining communities. Long may they never be forgotten. 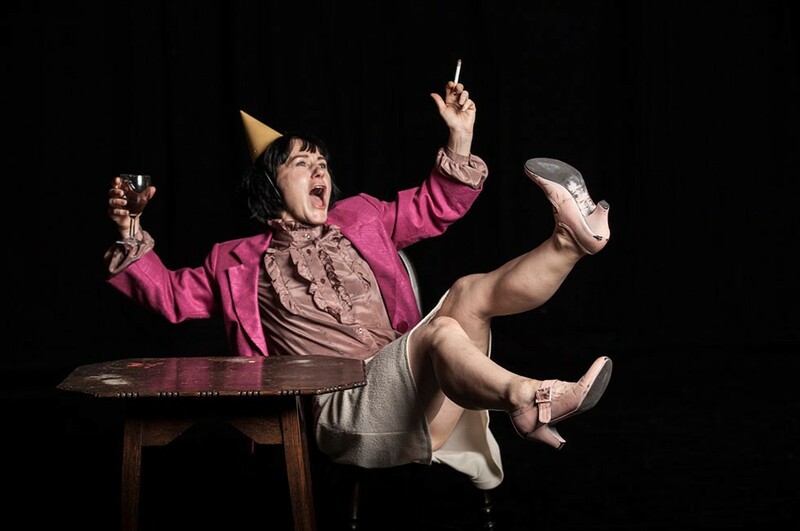 Coal runs at Nottingham Playhouse 19 – 20 June. For more details visit COALTOUR. Pride and Prejudice at Nottingham Playhouse and York Theatre Royal. Review: Trainspotting. (touring) Curve Leicester.